BlackBerry’s latest smartphones such as the Z10 (review) and Q10 (review) have not been the instant sales hits that the company was hoping for. Devices like the new 9720 is BlackBerry’s attempt to bolster sales by appealing to loyalists and midrange users. 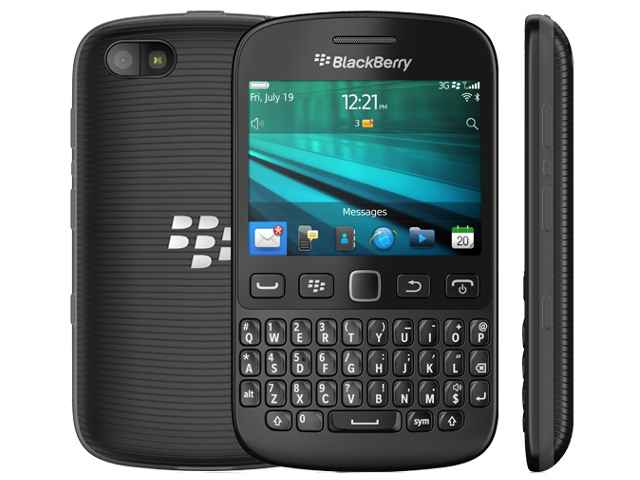 Like the Q5 (review), BlackBerry’s 9720 offers smartphone users a touch and type experience thanks to its physical QWERTY keyboard and a 2.8" (480 x 360; 214 ppi pixel density) IPS capacitive touchscreen. It is not the thinnest nor the lightest smartphone available on the market, but packs a very familiar form factor that feels pleasant in hand. Complementing the old school look and feel are some underwhelming specs that are a testament to the minimum processing power and memory BlackBerry 7.1 needs to run smoothly. Powering the smartphone is a single-core Marvell Tavor MG1 processor clocked at 806 MHz, which is supported by 512 MB RAM. Despite this duo, navigating the ageing platform remains snappy even when you are multitasking. BlackBerry has made a couple of enhancements to the operating system including the ability to downloads and install applications from BlackBerry World without having to restart the device every single time when doing so. Another OS feature improvement includes being able to launch the camera straight from the lock screen simply by long pressing the onscreen camera button. BlackBerry 7.1 users can also multicast their messages, which involves quickly typing a message once and simultaneously posting it to their contacts on BBM, Twitter and Facebook. This feature works well and is a very easy way to quickly update your status across multiple social networks. All these changes might be welcome, but they certainly have not brought the platform up to date with rival operating systems such as Android or Windows Phone. These offer more applications in their respective app fronts and are more visually enticing and intuitive to use. In terms of optics the 9720 sports a 5 MP camera with LED flash, which captures mediocre photos and forgetable VGA videos. Users have access to only 512 MB of internal storage for multimedia content and apps, but luckily you can boost this by as much as 32 GB via the microSD memory card slot. Our review device came with an 8 GB in the retail package. The design of the 9720 will be very firmiliar to BlackBerry traditionalists, with the smartphone offering a great touch-and-type experience on the go. BlackBerry’s 9720 boasts a couple of novel features that you will not find on many of the Waterloo-based firm’s devices. The first of these is Stereo FM radio with RDS, allowing users to listen to their favourite local radio stations on the go when a headset is connected to the smartphone. The other feature is a dedicated BBM button, which was first seen on the BlackBerry Curve 9320 (review). By default this button is used to quickly launch BlackBerry Messenger, but you can change this to launch an alternative app of your choosing. Also onboard is HSDPA connectivity offering download speeds of up to 7.2 Mbps and upload speed of 5.76 Mbps, Wi-Fi 802.11 b/g, Bluetooth v2.1 with A2DP, and a 1450 mAh Li-Ion battery that will last you through a full working day worth of usage. Thanks to its lower specs and consequently more affordable pricetag, as well as its support of BlackBerry Internet Service (BIS), BlackBerry’s 9720 is able to compete within a lower price range than the company’s BlackBerry 10 powered devices. The 9720 goes for a recommended retail price of R2 600, which is R600 more than the cost of the LG Optimus L5 II and R700 more than Nokia’s Lumia 520, both of which offer a more compelling and well rounded smartphone experience. We strongly feel that the 9720 will only really be appealing to die-hard BlackBerry fans, dedicated BIS subscribers, and QWERTY lovers. This rings especially true in light of the Canadian company’s precarious position it finds itself in, where the firm is scouting the market for potential buyers. Everyone else can choose from a large array of better priced and specced devices, with more modern platforms and higher app store tallies. Delivers very good touch and type experience on the go. FM Radio on a BlackBerry. Not as up to date spec wise compared to rivals smartphones. OS is not on par with rival platforms or BlackBerry 10. Delivers very good touch and type experience on the go; Multicast; supports BIS; packs a dedicated BBM button; and FM Radio on a BlackBerry. Not as up to date spec wise compared to rivals smartphones; and OS is not on par with rival platforms or BlackBerry 10.